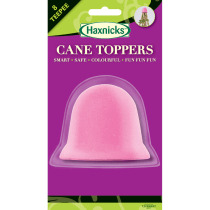 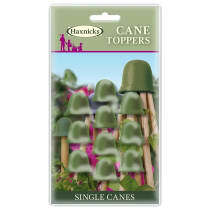 Haxnicks CaneToppers™ are a new solution to an old problem. 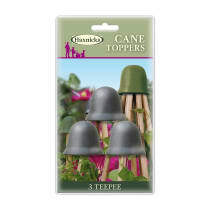 Using regular canes, CaneToppers™ can be used to form teepees, perfect for growing beans, sweet peas and other climbing plants. 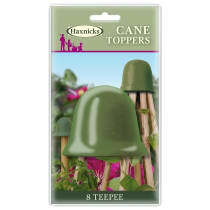 With a choice of an 8 or 3 cane topper, you can choose the perfect size for your teepee. 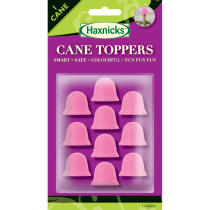 Use the 1 cane topper to cover the potentially dangerous top of single canes, and also as a rip-stop solution when dragging mesh or netting over your beds. 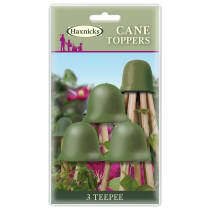 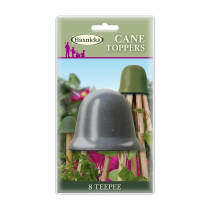 CaneToppers™ are bright and colourful, and are a safe and useful item in both flower and vegetable gardens.